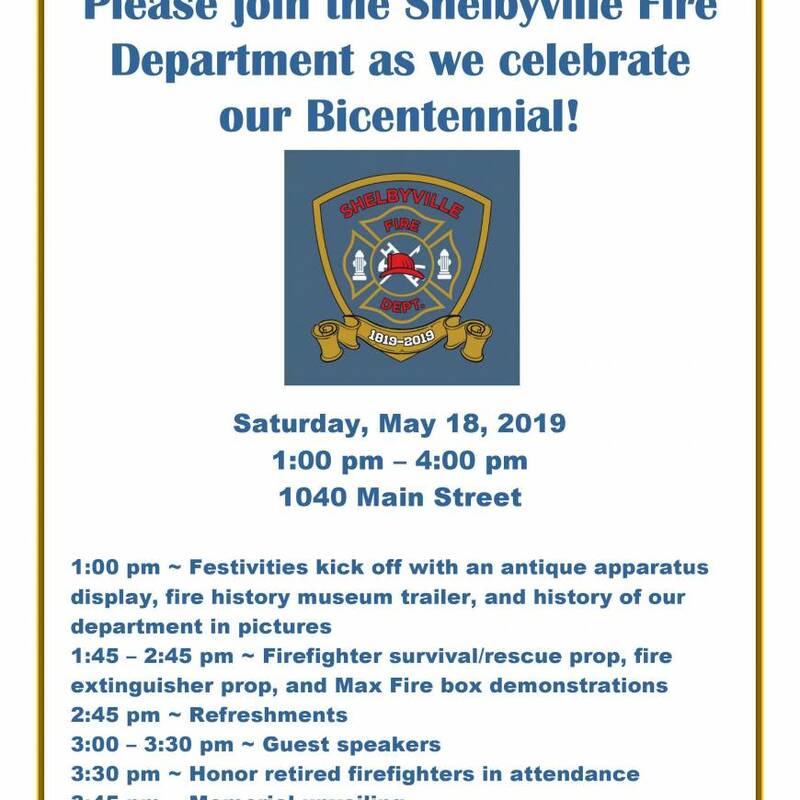 Shelbyville Fire Department will be celebrating our 200th year in operation on Saturday, May 18. In commemoration of this huge milestone, a shift shirt was designed and is being worn by our firefighters while on duty. 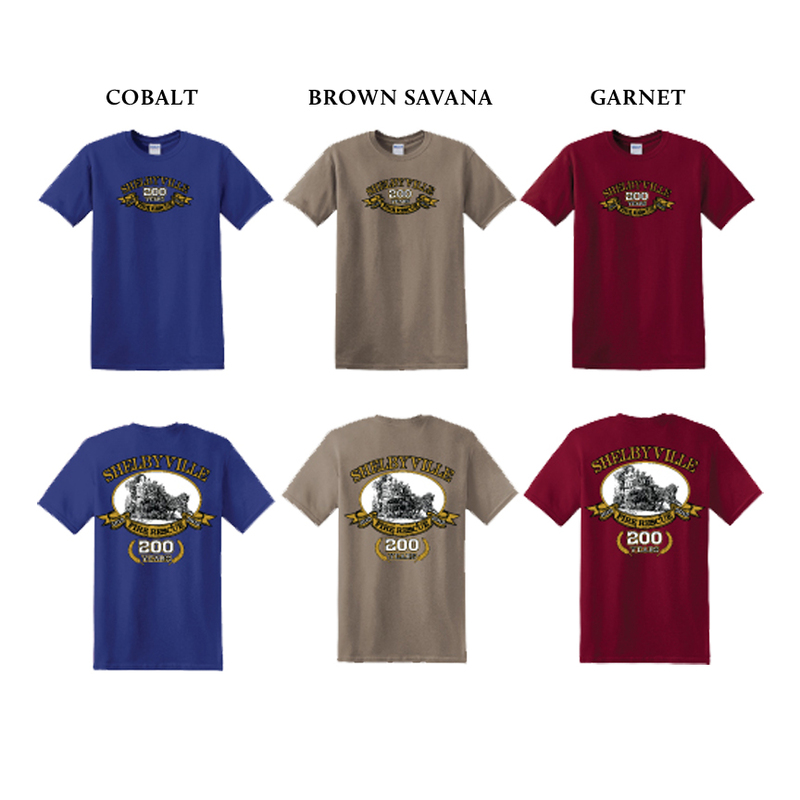 These shirts have been well received by the public, so we are offering a bicentennial shirt available in three colors to anybody that is interested in purchasing them. The cost of each shirt is $20. To place your order, please contact Beth at 502.633.7101 or in person at 1040 Main Street. Cash or check payment is due in advance of the order and all orders along with payment need to be received no later than Monday, April 29. Checks need to be made payable to the Shelbyville Fire Department Activities Committee fund.